One day out from the wedding and it is time to enjoy this magical time of your life. Tomorrow you will say your vows and commit to each other for the rest of your lives, becoming husband and wife. It is time to relax and unwind, making the most of all your hard work and planning after the many months of preparation. 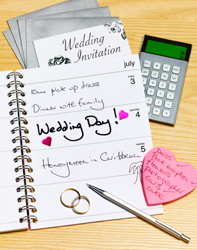 The next section of the Lissylane wedding check-list is very short however very important as the next day is your wedding day. The following point will be discussed in further detail, Lissylane hopes the following information will help to make your wedding day perfect for the both of you and ease some of the stress of wedding planning. Have nails done, massages, relax, unwind and enjoy.